For almost any given object, there’s a certain unspoken set of general criteria that help give it its status of whatever-ness. Like, for a teapot, there’s certain expected parameters and traits that let us recognize it as a teapot, no matter the design. Sort of a Platonic ideal. Cars have this, too. With that in mind, what car violates this ideal the most? What car is least like a car? I’d personally nominate the La Quasar Unipower City Car. 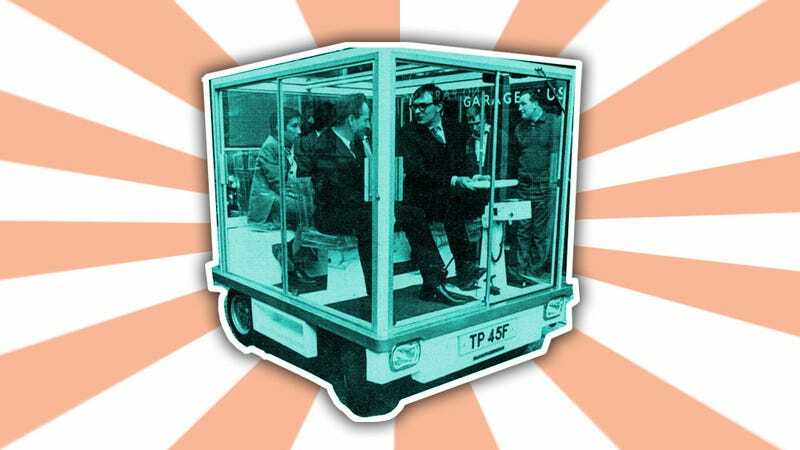 I think they’re really bizarre and cool, but it feels far more like a tiny Internationalist glass skyscraper (or, tollbooth or greenhouse) on wheels than it feels like a car, even a boxy one. So take a moment and maybe take one of those pills you keep hidden in your desk and tell me — what’s the least car-like car?